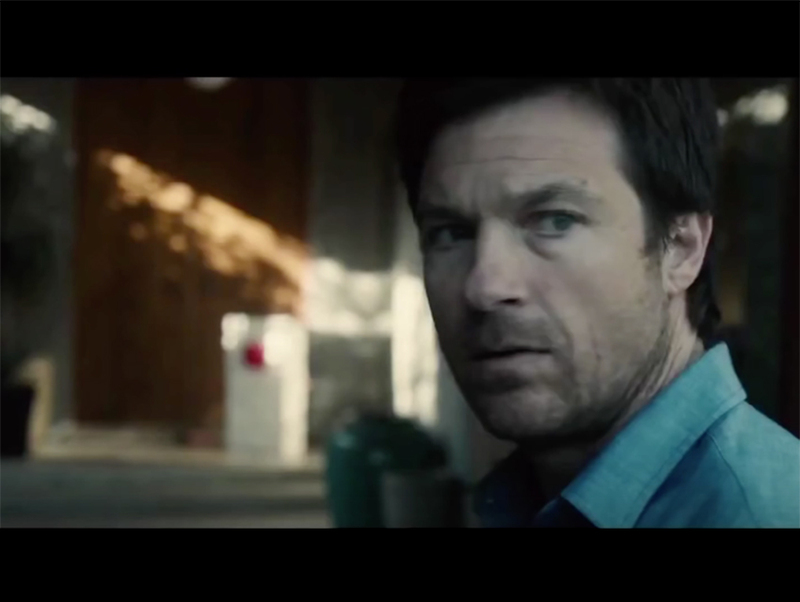 The Gift, the new film from writer-producer-actor Joel Edgerton, hits theatres tomorrow. The psychological thriller stars Jason Bateman and Rebecca Hall as a married couple whose lives are thrown into turmoil when Simon (Bateman) reconnects with Gordo (Edgerton), a man from his high school years who is looking to right old wrongs. I saw a preview for The Gift in a theatre a couple of months ago, and although I thought the movie looked gripping, it was Simon and Robyn’s mid-century modern-style home that really caught my eye. The sleek pad—with its cement walls, towering fireplace and large open floorplan—lit up the screen. I immediately started researching its location. In real life, the post-and-beam residence can be found at 15615 Castlewoods Drive in Sherman Oaks’ Royal Woods neighborhood. It was designed by architect David G. Clark in 1962 and features a koi pond (featured prominently in the The Gift) that runs beneath the front walkway, a pool with a waterfall, a large deck, and a contemporary kitchen with a built-in espresso machine. Both the interior and the exterior of the property appear in The Gift and per these 2013 real estate listing photographs, the place is just as fabulous in real life as it appears to be onscreen. Sadly, virtually none of the property can be seen from the street. 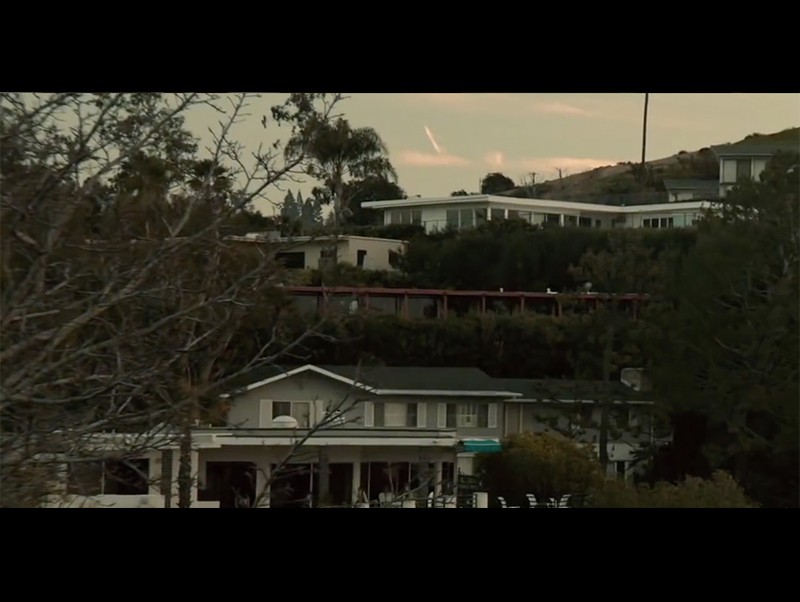 Unlike so many other films nowadays, The Gift was shot exclusively in Los Angeles and its environs. Additional locales featured in the film include the Urban Home store at the Sherman Oaks Galleria, where Simon first reconnects with Gordo in the movie, and an oft-filmed home at 5133 Louise Avenue in Encino that doubles as Gordo’s house. (The same Colonial-style residence also belongs to David Wallace (Andy Buckley) on The Office and Cyrus Beene (Jeff Perry) on Scandal.) City National Plaza in downtown L.A., parts of Elysian Park, and Hyperion Public gastropub in Silver Lake also make appearances. The Gift is receiving fabulous reviews across the web, and has a high score on Rotten Tomatoes. Even so, if the movie does not turn out to be as thrilling as I hope, I know Simon and Robyn’s house will at lease provide me with some stellar eye candy.